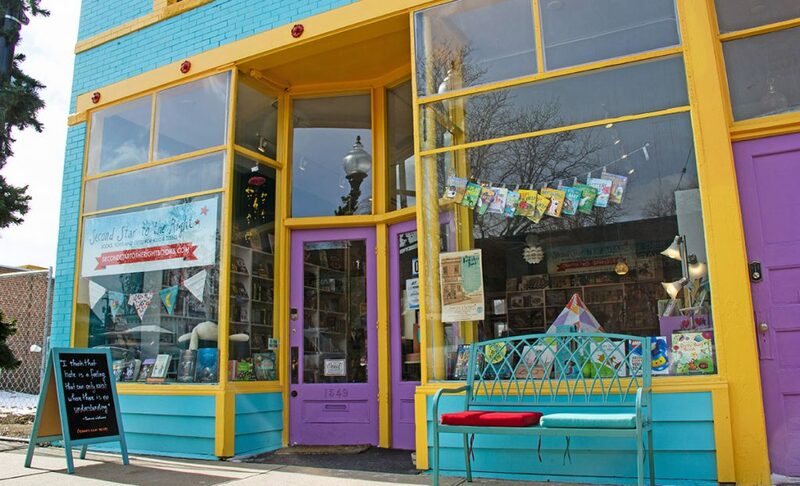 Adventure and fantasy have landed at 1545 South Pearl Street! 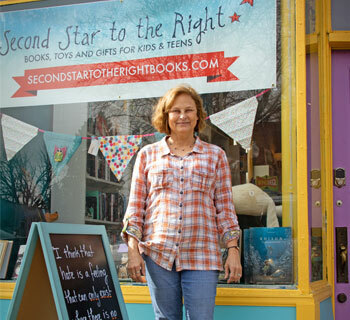 Kids and parents alike are so excited to have Second Star to the Right Books open their storefront on South Pearl Street at the end of last year. 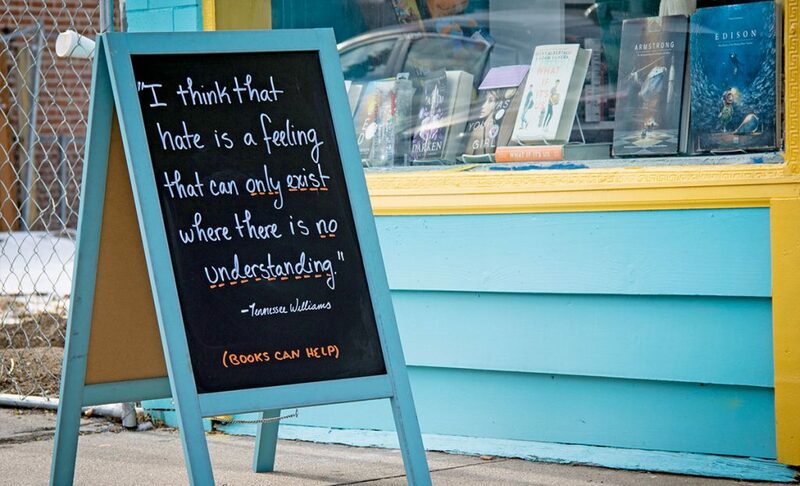 The store is a treasure trove of stories just waiting to get lost in. 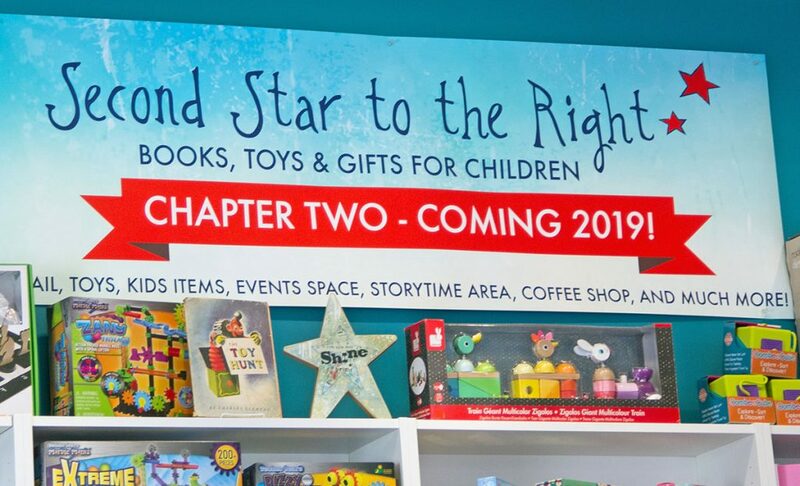 The initial store opened four and a half years ago on Tennyson Street in the Highlands but is turning a new page as they make their move to South Pearl Street. 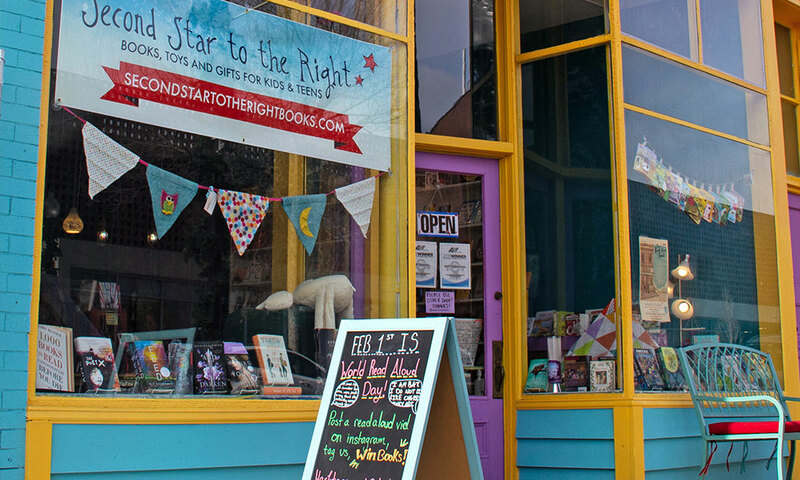 Chapter one of their story began with a dream for creating a community space that “provided a welcoming, gathering place for kids and adults alike.” They planted the seeds of their dream on Tennyson and dedicated themselves to creating a magical place to get lost in. 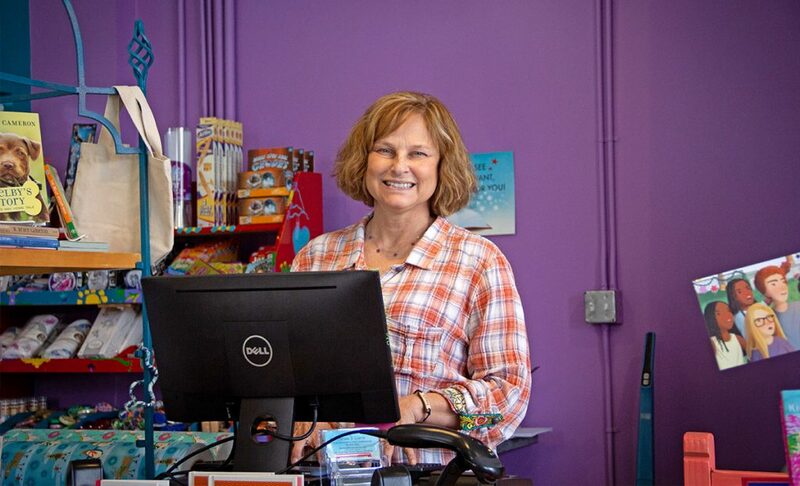 As they make the move to South Pearl Street, they are looking forward to getting to know the neighbors and establishing themselves as a special place in the community. 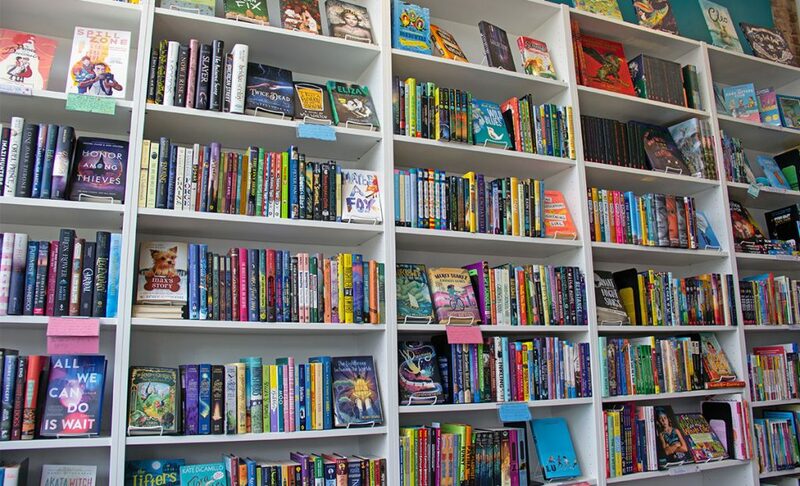 When the rest of their building is completed, they hope to open a snack shop, an outside reading area, and an event space to host book clubs, authors, and classes for kids. 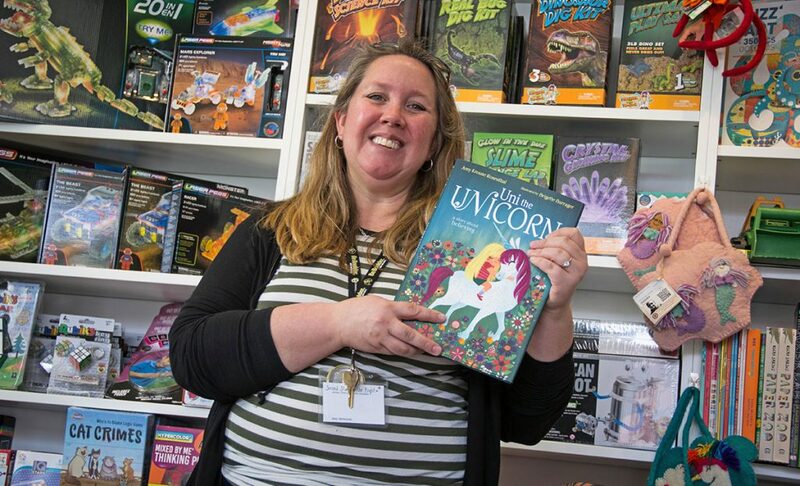 They want to bring art, music, and dance classes as well as grown-up book clubs and sensory-friendly storytime. Their brains are buzzing with ideas and brimming with excitement for the future. 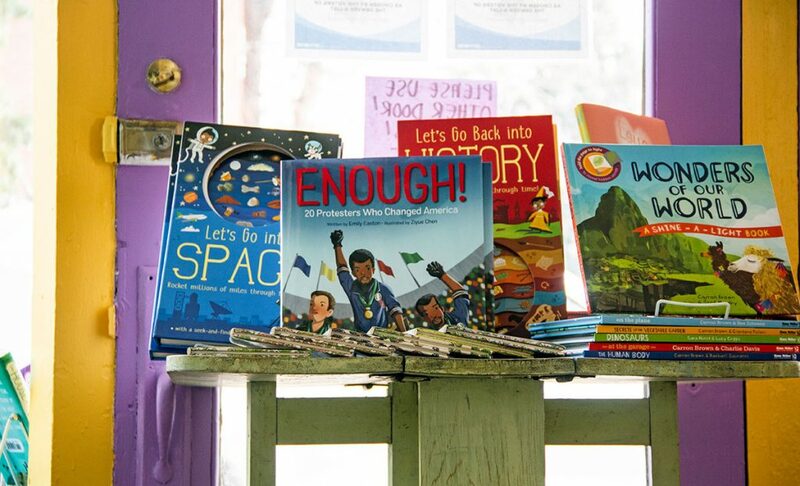 On their bright purple and yellow shelves sit books like A is for Activist by Innosanto Nagara, an ABC board book that carries messages of activism, environmental justice, and civil rights to children. Penguin and Pinecone by Salina Yoon, a charming picture book for the young ones about the friendship between a curious little Penguin and a lost pine cone. For young adults, Dry by Neal and Jarrod Shusterman is a gripping story of survival and the hunt for water during a catastrophic California drought. 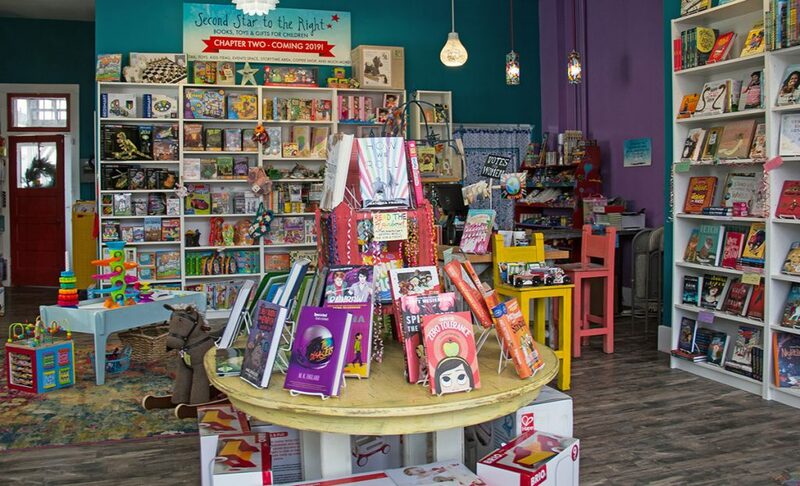 Peruse the bookshelves and you’ll come across fun toys and trinkets your kids won’t be able to resist. They have the Spin Again toy, which is a spinning stacking toddler favorite. Adorably crafted rocking horses are a staple in the store. 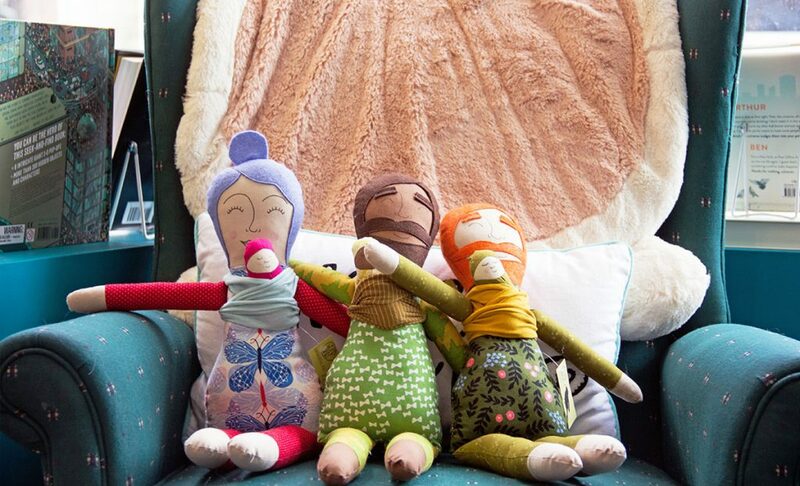 There’s also gorgeous handmade dolls that come with accompanying baby dolls to swaddle. These dolls are a great way to teach kids about empathy, responsibility and help develop a child’s imagination. 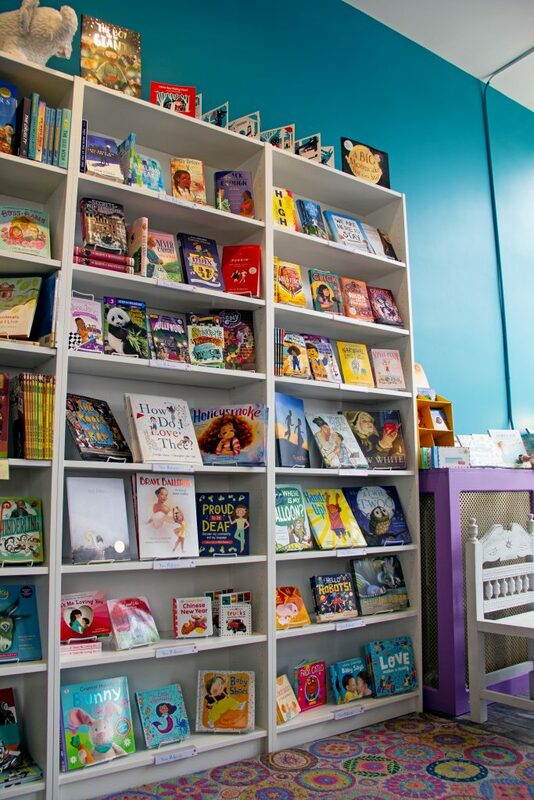 The store also has all sorts of programs to get kids and teens excited about reading. 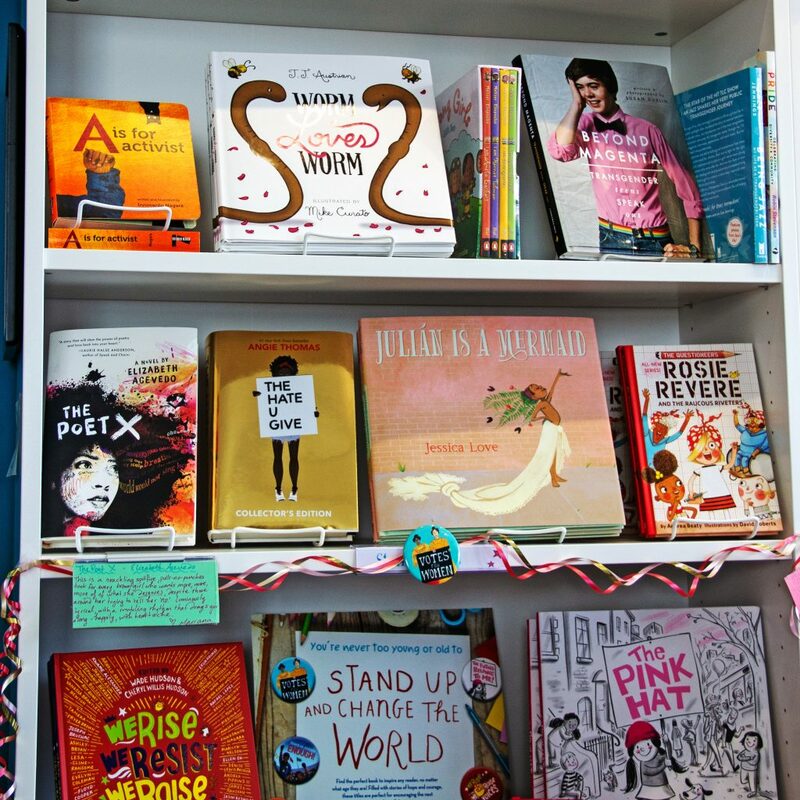 There’s a book club for kids ages 7-12, an LGBTQ teen book club, and a Young Adult Advisory group where teens are a part of the book selection process for the store. Read aloud storytime is offered Tuesday and Friday at 10:30am. 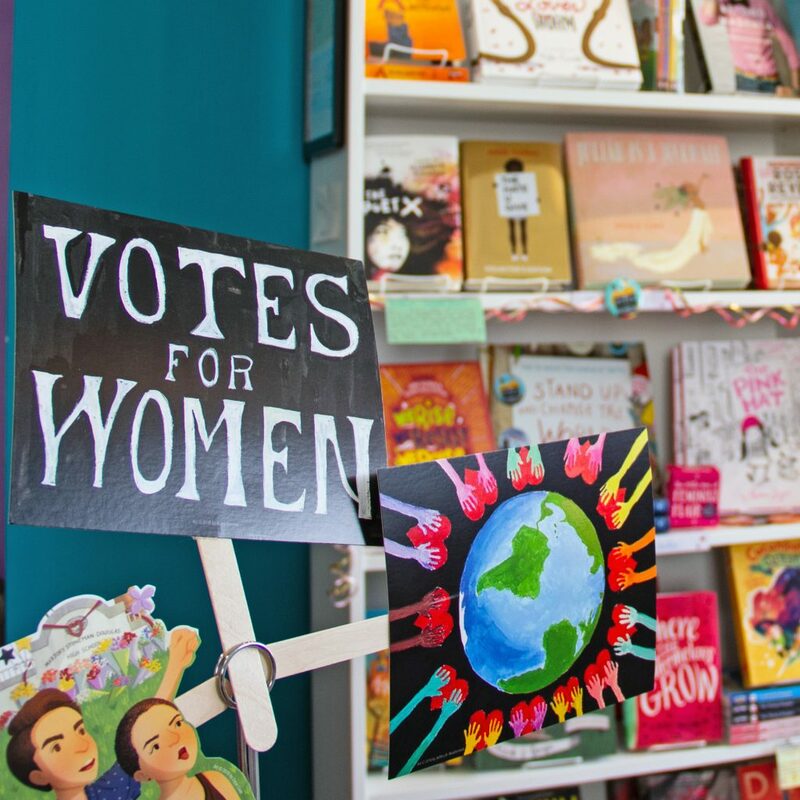 Themes and books vary, including subjects about crafting, gardening, fairy tales, drag queens, and other colorfully themed stories. Community involvement and support is also an important value to Dea and Marc. 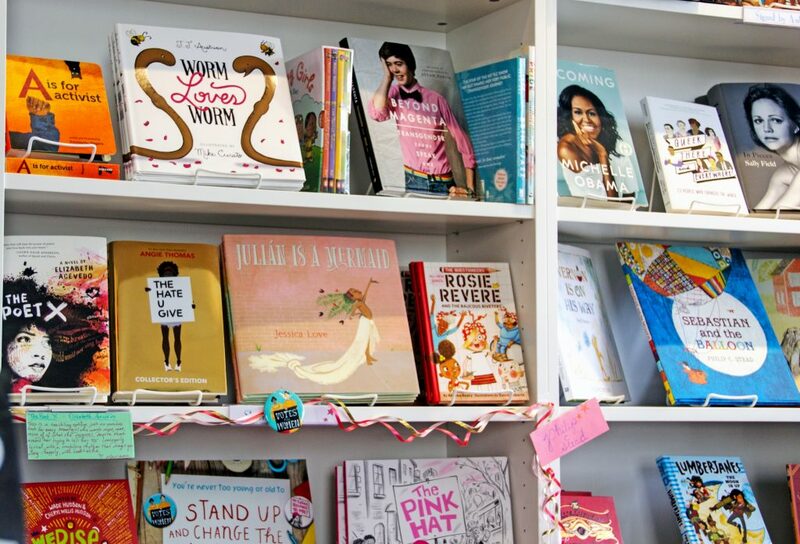 They work to reach out to underserved kids in the community with Books to Kids, Inc, a non-profit committed to making books available to ALL children. They also love partnering with other businesses on all kinds of programs.